Cars could be banned from parking on narrow streets in one of the north-east’s most picturesque villages in a bid to improve safety – but tourism may suffer. 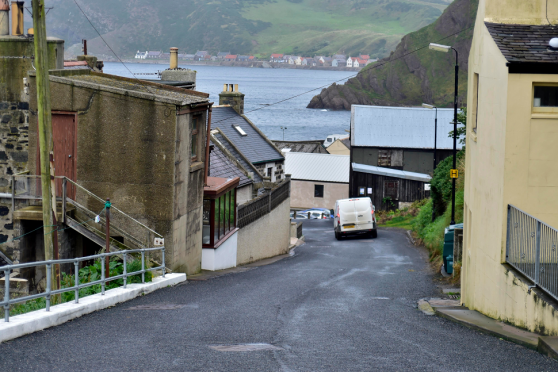 Aberdeenshire Council is currently reviewing public parking in Gardenstown and officers have proposed introducing waiting restrictions on the community’s Harbour Road. Concerns have been raised by bus operators that without a ban on parking, buses will struggle to manoeuvre and services could be cut. In the past, vehicles reversed at the end of Main Street but the council has deemed this “unsafe” for the public and bus operators. The raft of changes, which also include introducing a 20mph speed limit on the town’s Troup View, will go before members of the Banff and Buchan area committee when they meet next week. In a report to councillors, Aberdeenshire infrastructure boss Stephen Archer said traffic flow across the north-east is routinely reviewed. “Following the receipt of a number of requests a review of the traffic management in Gardenstown has been carried out in order to resolve some of the issues raised,” Mr Archer said. However, the local community council has raised concerns that restricting parking in the lower part of Gardenstown would have an “adverse effect” on tourism, particularly during the busy summer months. Before the ban can come into effect a four-week consultation with motoring groups and the local public will be held. The cost to the taxpayer – if no objections are lodged – will be around £2,500 for the new signs and lines required. Councillors will meet in Banff on Tuesday to discuss the plan.